In cooperation with the Edu-K Foundation, the DGAK, the Berufsverband Kinesiologie and the Arbeitskreis für Selbsthilfe Edu-Kinestetik e.V. In 2018, we celebrate 35 years of Edu-Kinestetik in Germany and the Edu-K Conference is coming to us! The theme of the conference: My Body, My Stage! With this conference we place the body stage and look at it as a mirror of our emotional, mental and physical processes. Our body is able to express our deepest inner selves. If it is illuminated from the most various angles, it looks different each time, yet it is always the same. We are looking forward to: Dr. Paul Dennison, Dr. Carla Hannaford, Dr. Rüdiger Dahlke, Token Plaskett, Carol Ann Erickson, Amy Choi, Konrad Ho, Renate Wennekes, Alfred Schatz and many more. The conference is for Kinesiologists from all over the world. During the conference, there will be interesting contributions from the International Faculty of Educational Kinesiology, new and old proven techniques for balancing as well as many opportunities for exchanging, celebrating and getting to know each other. 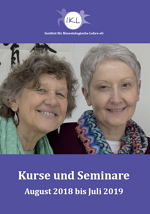 After the main conference, post conference courses will be offered by international guest lecturers. 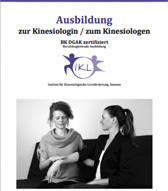 The IKL is one of the leading Kinesiology institutes in Germany. It is the institute for Edu-K. Accompanying Kinesiology and Developmental Kinesiology. The institute is based on three pillars, which guarantee the optimal teaching of kinesiology: certification by the BK DGAK kinesiology school, a comprehensive seminar program and a great balance practice. The Accompanying Kinesiologists in Germany are professionally organized and closely networked with the DGAK, the professional association of Kinesiology. Subscribe now to our IKL Kinesiology Newsletter above, right.